Our modern society has come a long ways in terms of being progressive and open-minded toward subjects that are relatively misunderstood. This can be said for open adoption, where negative stereotypes have been replaced by support groups and online blogs. Adopting a child, though, can still come with negative stigmas. A is 4 Adoption is here to educate the public while placing wonderful children into the care of loving parents. If you are looking for an adoption agency in California, come visit our adoption center instead. By tailoring personalized adoption plans to the needs of the adoptive parents while offering comprehensive birth mother help, A is 4 Adoption is able to provide optimal outcomes for all parties involved. One interesting theme we have picked up on throughout the years is the unexpected aspects of adoptive parenting that many people do not consider until they are raising a miracle of their own. 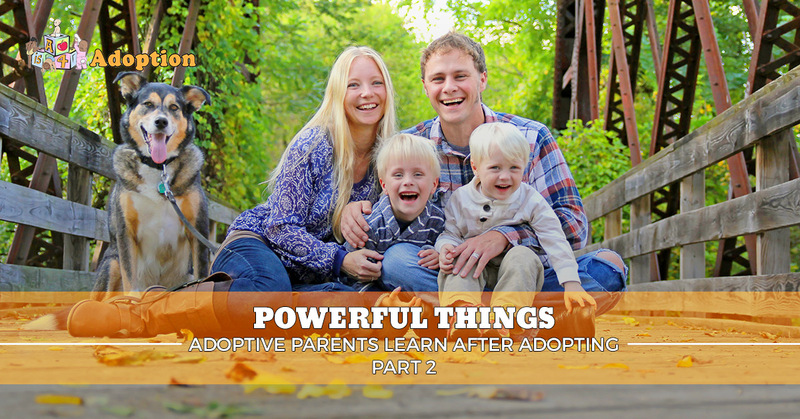 Today, we’ll continue from our last blog, which focused on these amazing lessons and how they may help you in your decision-making process for adoption. The adoption process is truly remarkable because everyone involved is putting their best efforts forth to ensure the best for the child. Whether you are putting your child up for adoption or trying to grow your family, the intentions behind these actions are why we work so hard every day! One major issue facing many people in the adoption field is the myriad of misinformation surrounding the process. Many adoptive parents have mentioned that they are faced with inaccurate stereotypes often. While this may seem like a negative, most of these parents have also stated that they have grown into an efficient advocate for adoption. In fact, many people take on this task proactively in order to better educate their friends and families while also protecting their children in the process. New mothers and fathers will face conflict and judgment for their selfless acts, so it’s important to be able to enlighten others about their lifestyle and how beneficial the open adoption process can be for both adults and infants. If you decide to adopt, there is a chance that a day will come when you need to defend your position. Don’t get too upset! Misinformation is the reason behind many of the biases held against adoption, giving you as the parent the opportunity to educate others and create a positive environment. We are confident that your adopted child will be just as loved as their biological siblings, giving you ample motivation to protect your family from misinformed perceptions and judgments. Becoming proud parents through open adoption means that you will be growing your wonderful family. One aspect of this dynamic that some people do not think about is the new relationship that you will now have with the birth family. Choosing to keep an open line of communication with the birth mother means you will be proactively working to foster a positive relationship. This process can include updates, school photos, inclusion in certain outings, and so on. It will be up to you as the adoptive parents to nurture a respectful, positive relationship. This way, your child can grow up knowing that they have two families that love them very much, and they will be better able to accept this complex living situation. While the level of communication between biological and adoptive families is up to you, it’s important to know that you will be the primary point of contact between the birth mother and your child. How you as the parent handle the situation is entirely your choice. Every family is unique and will go through very different trials and tribulations. Regardless of who they are, all parents will learn that adoption is a lifelong journey. Even with all of the resources available online and support from your top-notch adoption center, problems and surprises will be inevitable. Despite our best efforts, there is no one-size-fits-all approach that accounts for all of life’s quirks and speed bumps. You as the new parents will no doubt feel out of your element in this unique situation, but do not worry! Adoption is a complex process for all parties involved, and as long as everyone works together in a warm, open manner, the journey should be one that is rewarding beyond belief. The act of adoption is a very complex endeavor that holds plenty of ups and downs. As the prospective parent, you will learn more about yourself than you thought possible. Taking your lessons in stride and working to create a positive environment can help you and the birth family and the wonderful child in the center of this process to thrive in a situation that nobody involved as experienced before. A is 4 Adoption is here to help both parties every step of the way to ensure that the absolute best outcome is achieved for the child. Anyone looking for an adoption agency in the California area will be impressed when they visit our top-notch organization. Our professionals are more like guardians and guides in the adoption process, giving you support when it is needed. Contact us now to learn more about our system or to start growing your family today!